Thanks, he did at that. He took it down to raw wood and modified it, I refinished it and made it fit. Here she is with her .308 sisters. What color stain did you use to refinish the stock? Or is it a lot of coats of amber shellac? 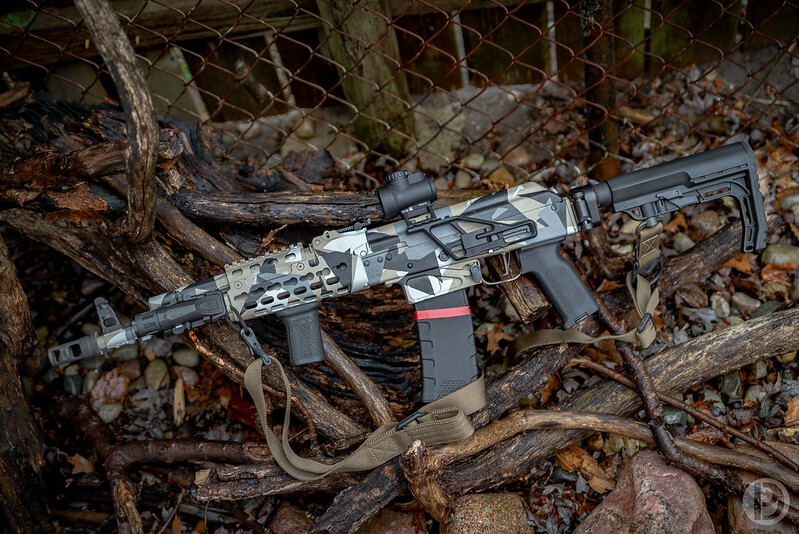 Looks like you got a great match with the Vepr handguard. 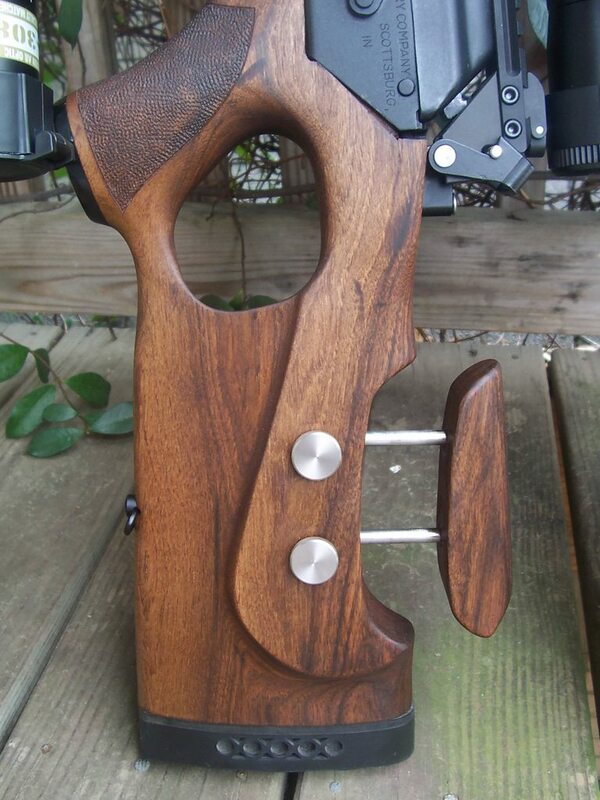 I love those wood handguards. I left them on my 308's. along with an adjustable polymer stocks on a couple of them. Try to take some pics sometime. Bought my first 308 in Dec. Now I have four! Love shooting them. I used three coats of straight Boiled Linseed Oil. I put it on heavy and rubbed it in with a lint free rag, dry 24 hours and repeat. Looks nice, what cheek pad is that? TOURBON Leather Buttstock Cheek Rest with Rifle Shell Holder on Amazon. Last edited by Ulisest91; 04-06-2019 at 06:55 PM. I'm digging that camo job. Thanks! Definitely the most work I'd put into painting a rifle. Pyzik, I know you from S12.com, yes? Nice to see familiar names almost everywhere I go in firearms forums. Damn shame what Obummer did to that site with the Ban. True it was slowing down, but he killed it. Cool unique paint job there Pyzik. I wouldn't even know where to begin to do something like that. Found this at an LGS the day before yesterday. On the advise of filers I brought it home. Home Depot, get a Ridgid tubing cutter (best quality blades) and cutting oil from Plumbing aisle. Ebay, grab a $20 muzzle brake. You can always borrow a die handle from the big box stores or auto parts store if you dont' have one. Hell, depending on DOM he could get lucky like I was and have a threaded barrel. Says out of stock and lists no price. What'd that cost if ya don't mind? It's out of stock at Legion so no price listed. 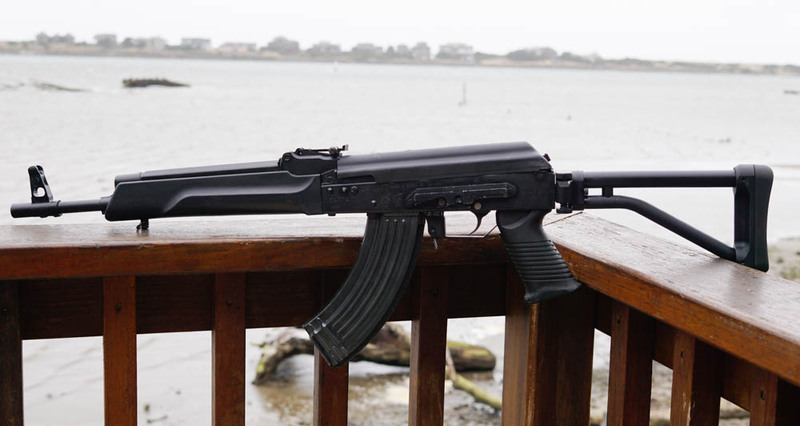 I had a buddy modify a Vepr stock with a cheek riser for my Saiga ver.21, took it from a scoped PITA to a joy to shoot. Finally found the receipt from Legion. $430 for the furniture set. Now I remember why I hid it.